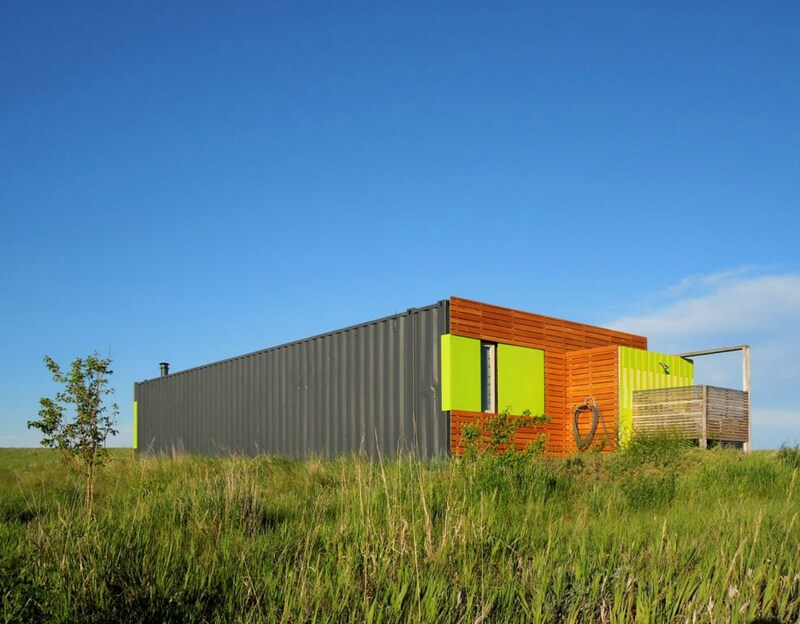 Architect and builder Ty Kelly wanted to disconnect from the stresses of city life in Seattle – so he built an incredible shipping container home deep in the picturesque Montana plains. 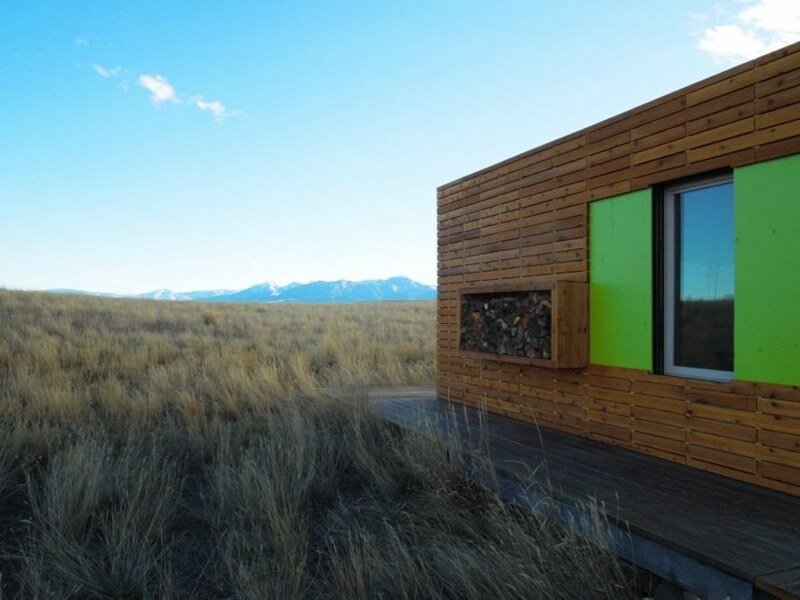 The 720-square-foot home is made from plenty of reclaimed materials, and it’s currently on the market for $125,000. 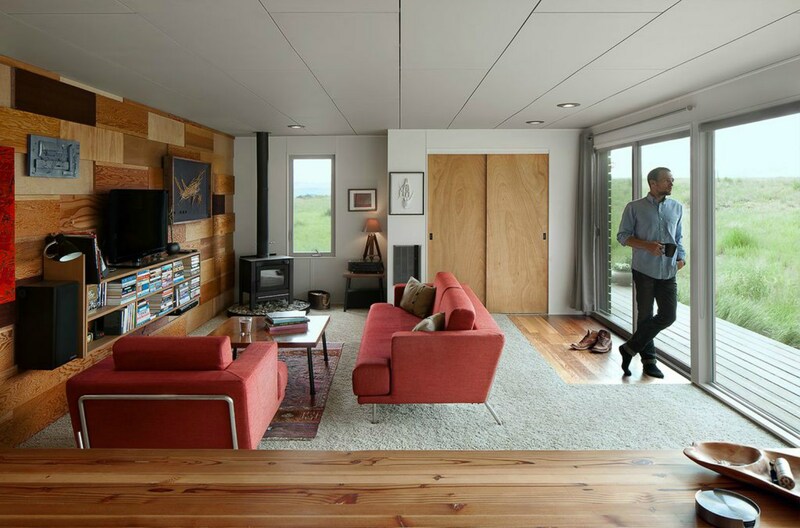 The one-bedroom, one-bath home is a true example of shipping container design done right. The home design is a sophisticated blend of wood and glass. Partially clad in wooden planking on the exterior, the house has an all-glass wall that provides natural light into the interior as well as gorgeous views of the rugged Montana landscape. Further embedding the home into its stunning surroundings is the wooden flooring that extends the length of the home onto an open-air deck on the exterior. Although the design of the home is quite contemporary, Kelly used quite a bit of reclaimed materials in the construction. The redwood flooring and wall panels are made out of reclaimed wood, as well as the kitchen’s butcher block counters, which were made out of leftover lumber from another project. On the interior, the living space, although quite compact, is incredibly comfortable. 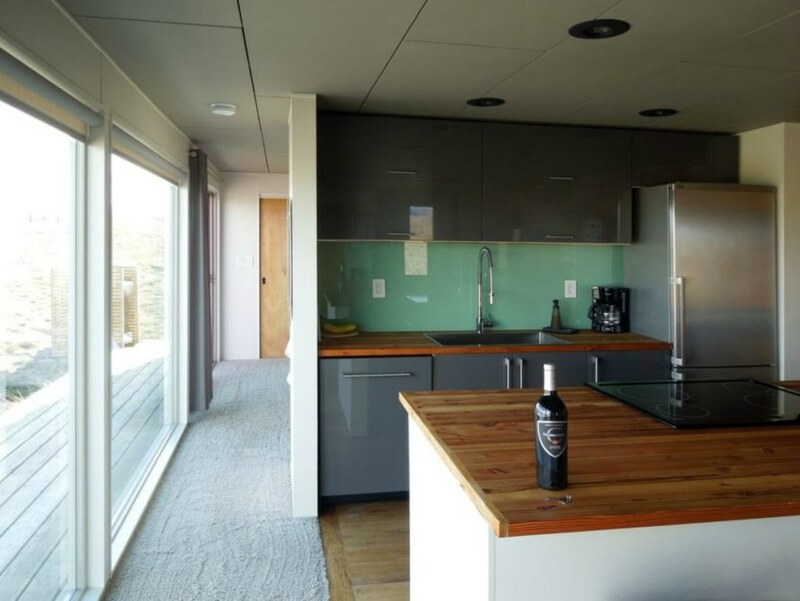 The kitchen has a wood stove as well as the typical modern conveniences such as a dishwasher and washer and dryer. The home’s bathroom layout, however, is quite a different story. The home comes complete with an outdoor shower on the side deck that lets the homeowners truly get back to nature. I would like to see more of these in California. With soaring housing, this type of housing would be practical. 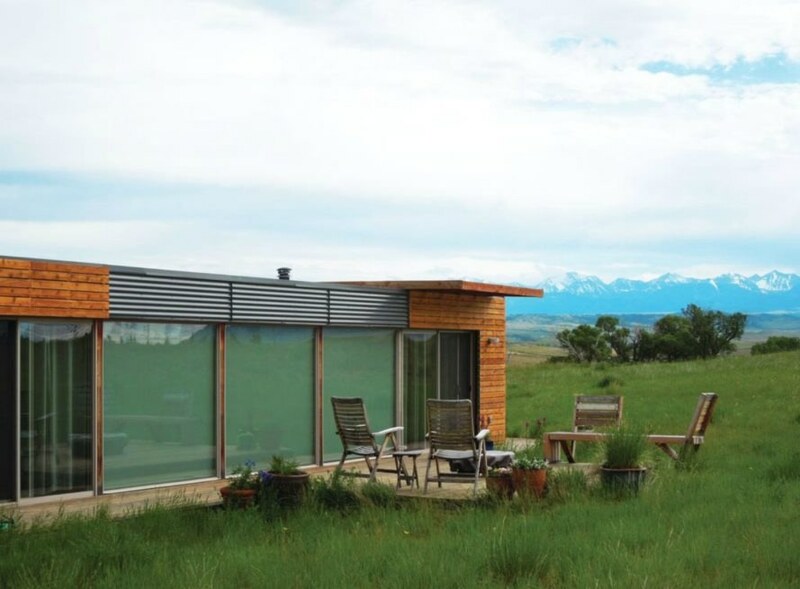 Wanting to disconnect from the stresses of a hyper connected life in Seattle, architect and builder Ty Kelly built a beautiful shipping container home that allowed him to live off grid in style in Montana. 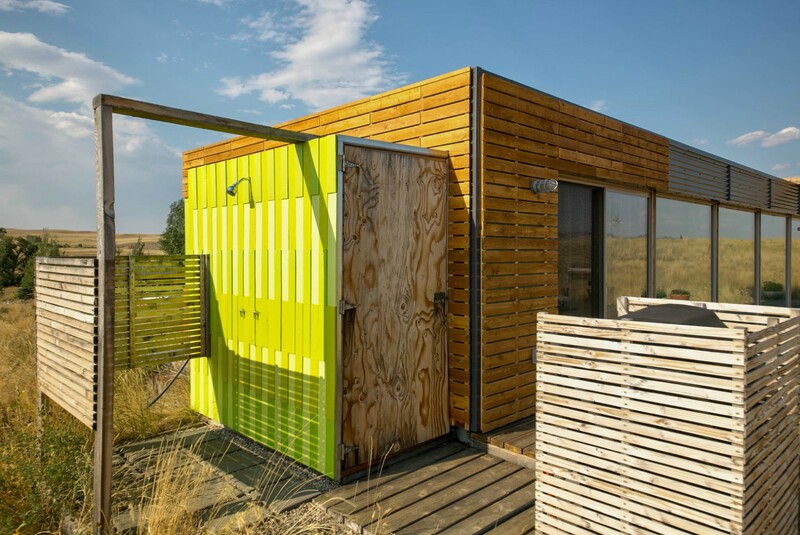 The modern structure, which is currently on the market for $125,000, is made out of two shipping containers, renovated into a lovely 720 square foot home built with reclaimed materials as well as some seriously cool handmade finishings done by Kelly himself. 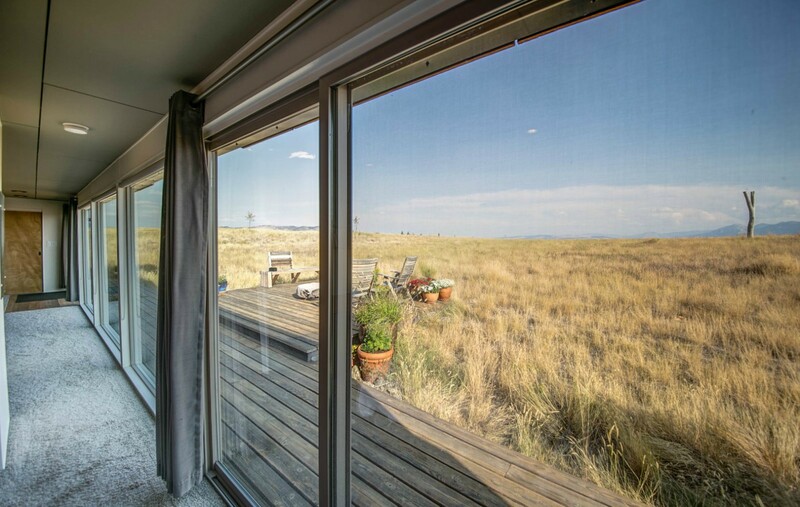 An all glass home provides stellar views of the Montana landscape. An outdoor deck blends the exterior with the interior. 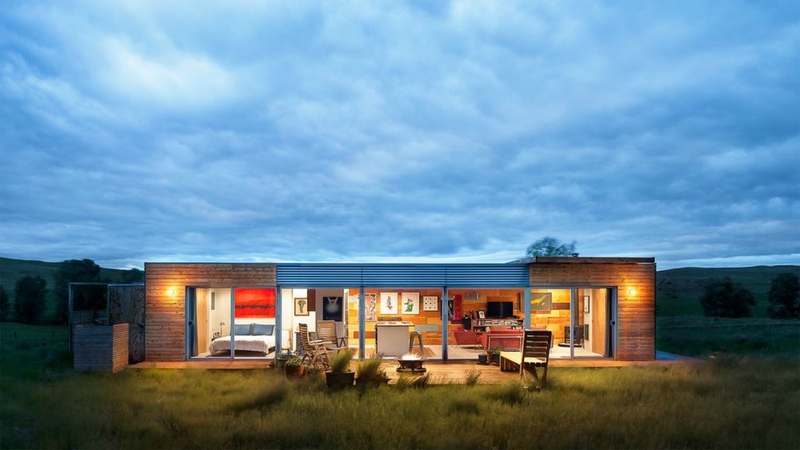 The one-bedroom, one-bath home is a true example of shipping container design done right. The home design is sophisticated blend of wood and glass. An outdoor shower is perfect for getting back to the outdoors. Partially clad in wooden planking on the exterior, the house has a all-glass wall that provides natural light into the interior as well as a gorgeous view of the Montana landscape. The bedroom is quite spacious. The living area and open kitchen are quite comfortable. Although the design of the home is quite contemporary, Kelly used quite a bit of reclaimed materials in the construction. Further embedding the home into its stunning surroundings is the wooden flooring that extends the length of the home onto an exterior, open-air deck. The kitchen's butcher block counters are made out of leftover lumber from another project. The home is partially clad in wood panels. The bedroom is surprisingly large for a tiny home. 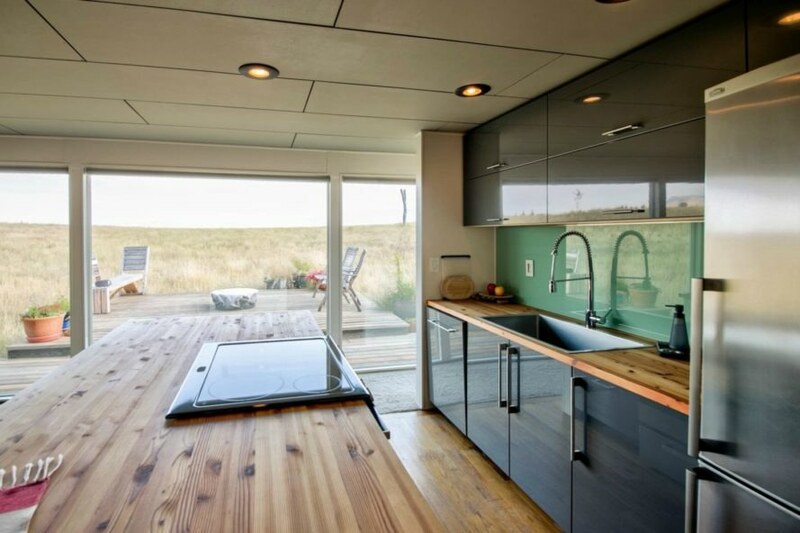 The kitchen has a wood stove as well as the typical mod cons such as a dishwasher and washer and dryer. The home's bathroom layout, however is quite a different story. The home comes complete with an outdoor shower on the back deck that lets the homeowner truly get back to nature. On the interior, the living space, although quite compact, is quite comfortable. Ty Kelly's shipping container home is currently on sale.